Here in this bike smiles photo on the Root River Trail are a couple cyclists riding last years Taste of the Trail into Peterson, MN. An annual event, this years Trail Event runs three consecutive Saturdays in September to cover all the fun you can have on your bike in Southeastern Minnesota. 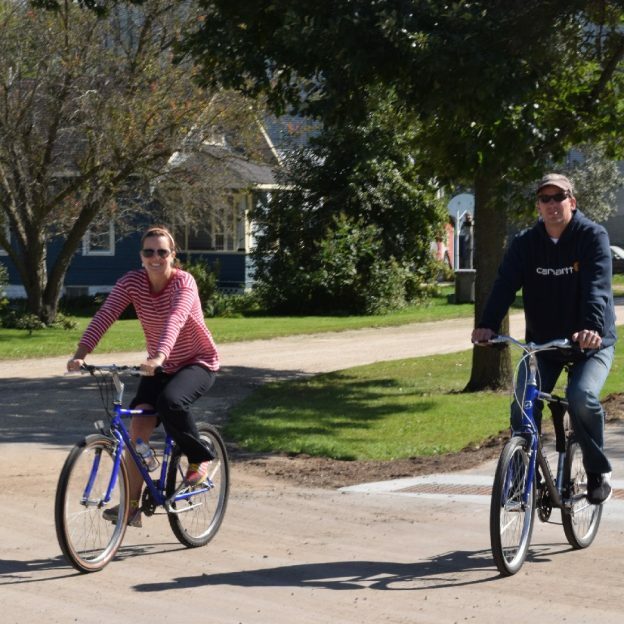 Starting on Saturday, September 10th, along the central section of the Root River Trail, Lanesboro, Peterson and Whalan will show you a good time. Then on Saturday September 17th the Root River Trail Towns of Fountain, Harmony and Preston will be hosting the second weekend of fun. Wrapping up this years Taste of the Trail, on Saturday, September 24th. visit the east section of the trail in the towns of Houston and Rushford to celebrate another day of fun on the Root River Trail. See many more bike friendly places and events to explore in the new Minnesota Bike/Hike Guide. This entry was posted in News, Picture of the Day and tagged #nextbikeadventure, #onlyinMN, #rootrivertrail, A Minnesota Bike Event, Harmony MN, Houston, Lanesboro, Minnesota trails, Preston MN, Root River Trail, Rushford MN, Taste of the Trail on August 28, 2016 by Russ Lowthian. The warm weather, this last Saturday, didn’t stop these 2016 Water Carnival Rotary Bike Ride participants from having fun on the 25-mile Piepenburg Loop, out of Hutchinson, MN. This entry was posted in Picture of the Day and tagged #FindYourNextAdventure, #onlyinMN, A Minnesota Bike Event, Hutchinson, Luce Line Trail, Road Biking Minnesota, Water Carnival Rotary Bike Ride on June 14, 2016 by Russ Lowthian. With so many bike rides to choose from here are some of Minnesota’s best recreational and touring rides to check out for fun in April, May, June and July, of 2016. 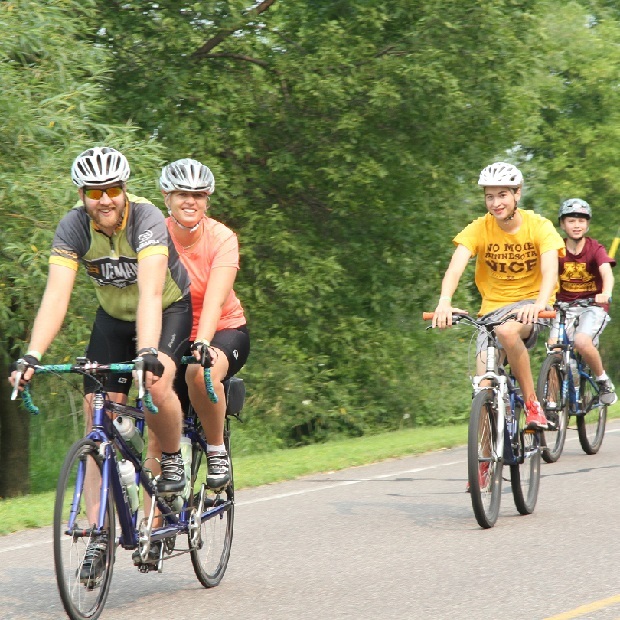 Celebrating its 50th year as Minnesota biking tradition this organized recreational ride tours the scenic St. Croix River Valley, near Stillwater and is a great way to get out and experience riding with others – Plus, bragging rights are guaranteed for the rest of the summer. Riders on the 49th Annual Minnesota Ironman Bike Ride. Bike MS: Twin Cities Ride presented by The Toro Company is a must-do for any Twin Cities cyclist. A charity ride more than 1,000 riders choose their own challenge — biking 12, 22, 40 or 50 miles through St. Paul and Minneapolis for one cause: a world free of MS. 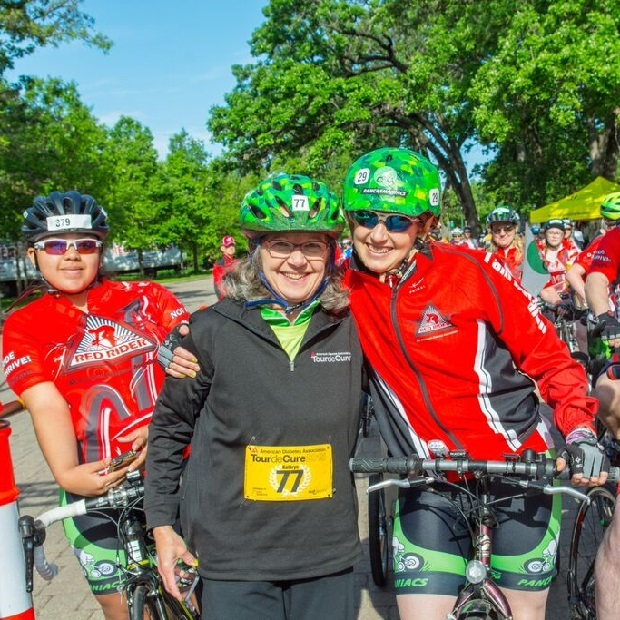 The ALS Bike Trek Minnesota is a charity ride created by ALS TDI to raise awareness of ALS (Amyotrophic Lateral Sclerosis or Lou Gehrig Disease) and funding toward an effective treatment. The seventh annual ALS Trek enjoys the scenery along the St Croix River Valley. 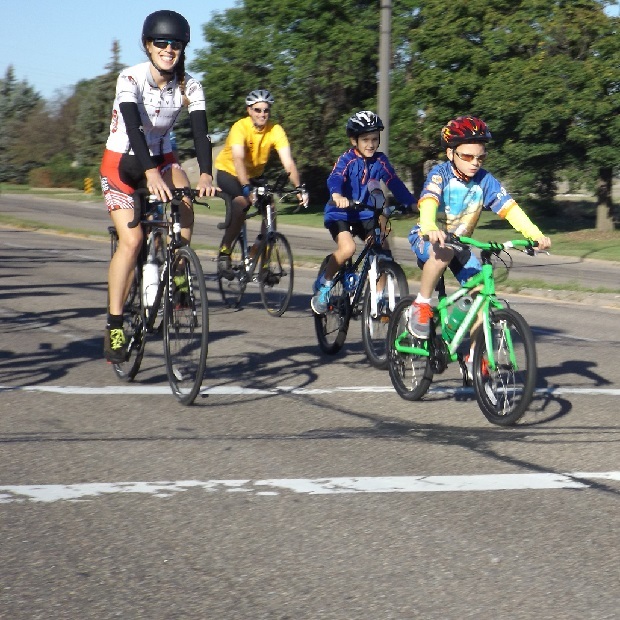 Each year the Twin Cities Tour de Cure celebrate everyone who lives with type 1 and type 2 diabetes as their heroes on the day of this annual event. 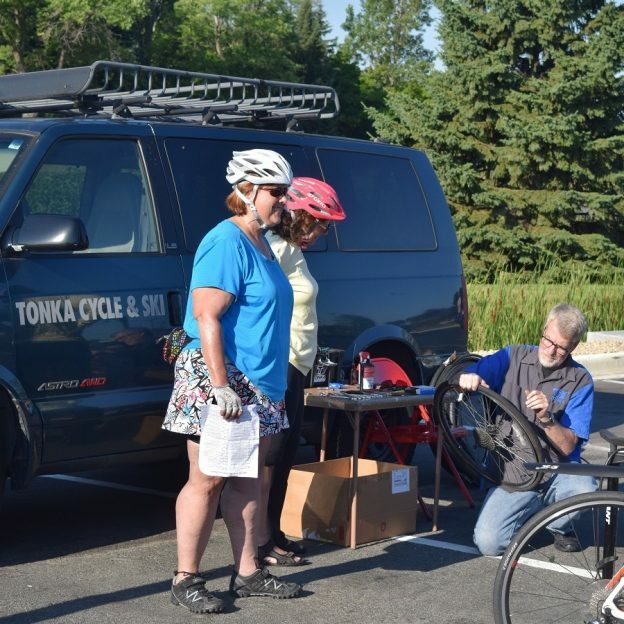 If you, a family member or friend have diabetes, join the American Diabetes Association members as they tour the bicycle routes, starting at Minnehaha Falls, in Minneapolis. 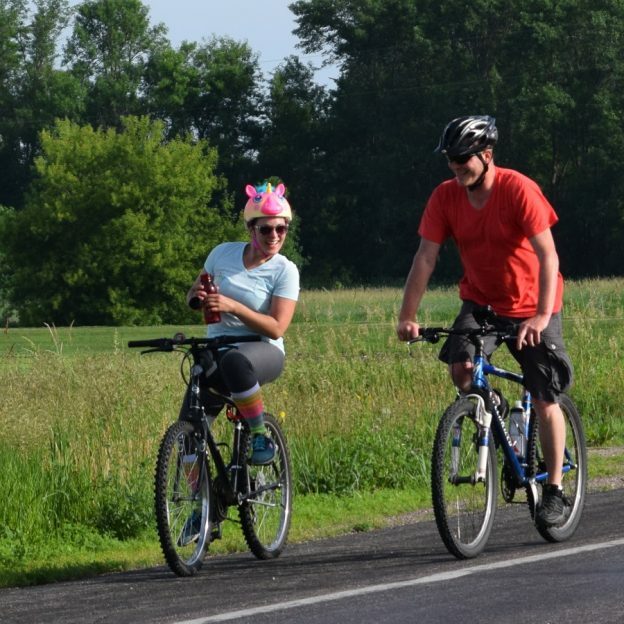 The Tour of Minnesota, formerly known as the Jaunt with Jim Klobuchar ride, is a multi-day bike tour exploring communities throughout the state. In its 42nd year, this year’s tour trip will visit Brainerd, Walker, Park Rapids, Itasca State Park, Bemidji and Pine River in Northern Minnesota. 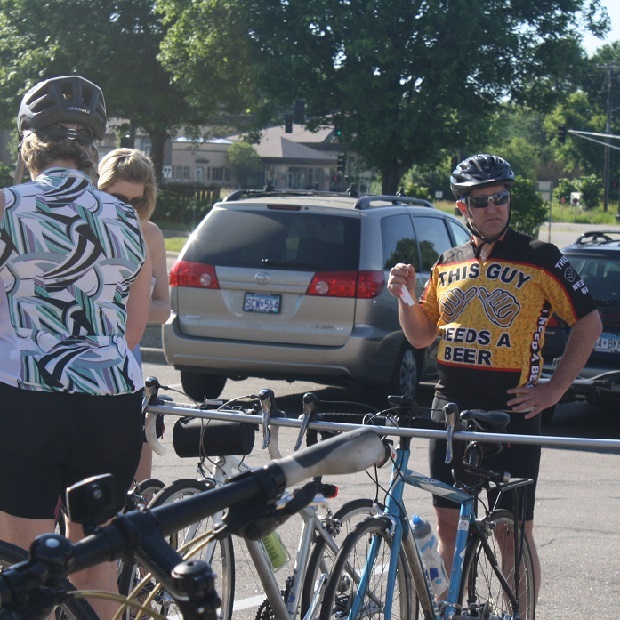 Celebrate the day riding the Tour D’Amico, a ride that tours the west suburbs of the Twin Cities. 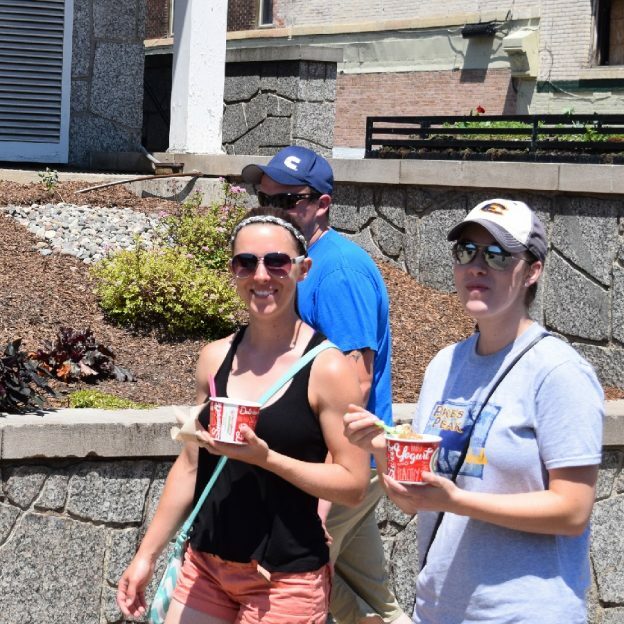 Choose from three routes, a 29, 45, or 62.2 miles option that includes hydration breaks along the way and a D’Amico & Sons Italian buffet lunch at the end, in Golden Valley. Enjoying a D’ Amico and Son’s Italian picnic after the bike ride. On the east side of the Twin Cities celebrate the day riding the Watermelon Ride, with a 15, 25, or 52 mile tour option. Starting in Battle Creek Park, snacks will be provided at rest stops along the way and a picnic lunch will be served at Snail Lake Park, in St. Paul. On this three-day tour see why many call this area “God’s Country” the hidden jewel of Minnesota’s Southeast region. Starting in Whalan explore the valleys and bluff of the area while visiting all the Root River Trail Towns: Lanesboro, Fountain, Preston, Harmony, Houston, Rushford and Peterson before returning back to Whalan. Here a family of cyclists enjoy exploring the scenic roads, that circle and cross the Root River Trail, in Bluff Country. Bike MS: TRAM Ride 2016 (The Ride Across Minnesota) is Minnesota’s greatest cycling vacation. 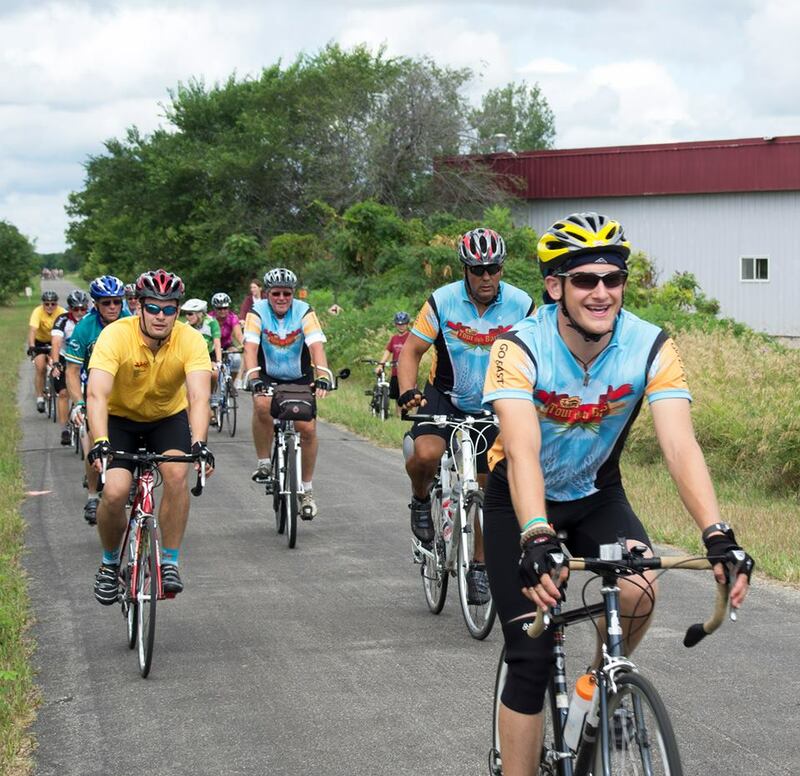 Nearly 1,000 riders will travel through the picturesque scenery and rich history of central Minnesota, starting in St. Joseph with overnight stops in Sauk Centre, Fergus Falls, Wadena and Little Falls. There is a 3-day route option also. Red Ribbon Ride is a fully supported 4 day ride, starting at the Mall of America, to raise vital funds for HIV/AIDS services, treatment, prevention and awareness, benefiting service for: African American AIDS Task Force, Clare Housing, Hope House of St. Croix Valley, MN AIDS Project, One Heartland, Park House, Rural AIDS Action Network and The Aliveness Project. 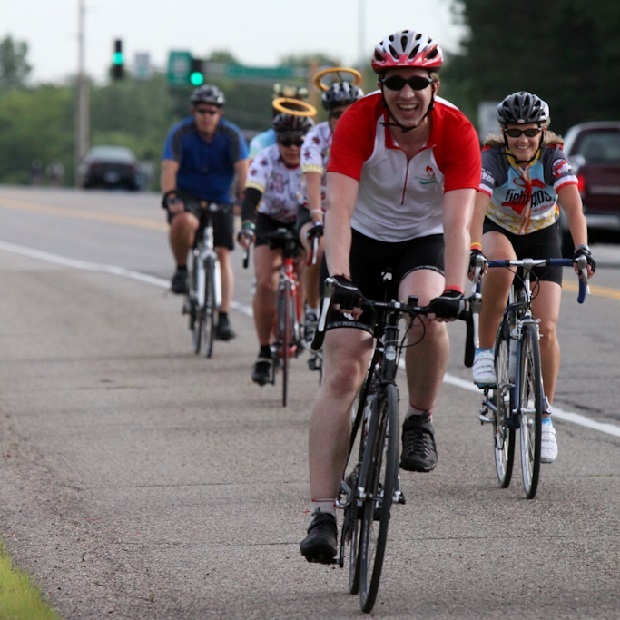 Here a bike rider on a Red Ribbon Bike Ride, in the Twin Cities, is flanked by angels on cycles. See more events and friendly places to ride in the new Minnesota Bike/Hike Guide. This entry was posted in News and tagged #FindYourNextAdventure, #onlyinMN, A Minnesota Bike Event, ALS Bike Trek, Bike Ms:TRAM, MN Ironman Bike Ride, Red Ribbon Ride, Root River Bluff & Valley Bike Tour, TCBC Watermelon Ride, Tour D' Amico bike ride, Tour de Cure, Tour of Minnesota on April 11, 2016 by Russ Lowthian. Here in the photo above, Katheryn Jensen, from the Special Olympics Minnesota receives a check for $500 from John Escritt, a member of Hiawatha Bicycling Club and current director of the Tour D’ Amico (TDA), 4th of July bike ride. 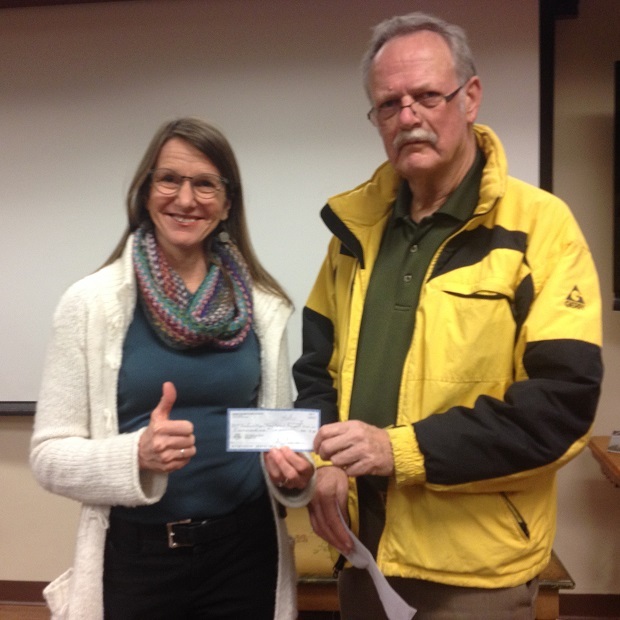 The donation was presented at the North Star Bicycle Festival and Grand Prix planning meeting on Monday night. 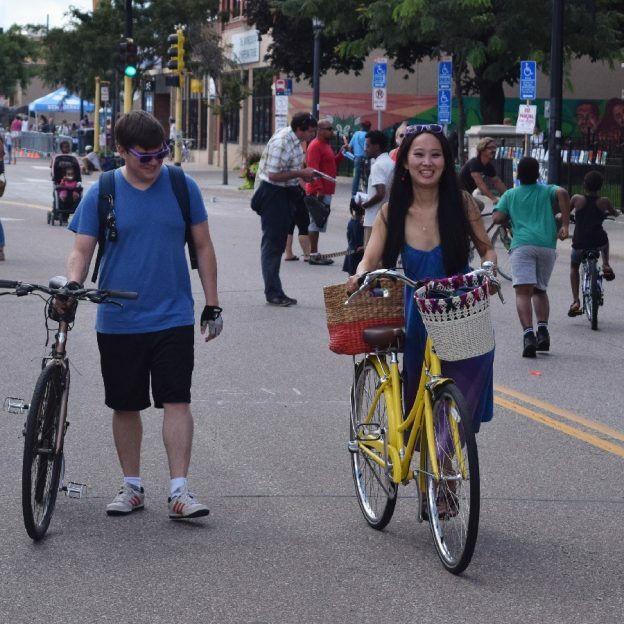 From the proceed raised this year at the 16th Annual TDA Ride, a portion of the proceeds were also shared with the Bicycle Alliance of Minnesota (BikeMN) for education, Midtown Greenway and to Three Rivers Parks, for trail maintenance. 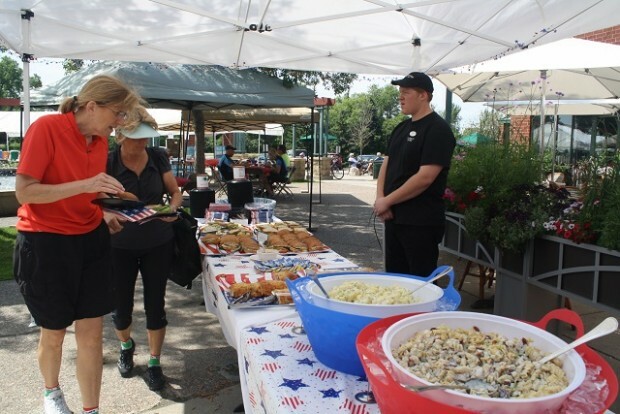 Sponsored by D’ Amico & Sons Restaurants, the Annual 4th of July Ride for 2016 is again scheduled with three routes and an Italian picnic planned at the end. Special Olympics Minnesota believes that through sports training and competition, people with intellectual disabilities benefit physically, mentally and socially; families are strengthened; and the community at large, both through participation and observation, is united in understanding people with intellectual disabilities in an environment of equality, respect and acceptance. Special Olympics of Minnesota. The Hiawatha Bicycling Club is a recreational riding club. 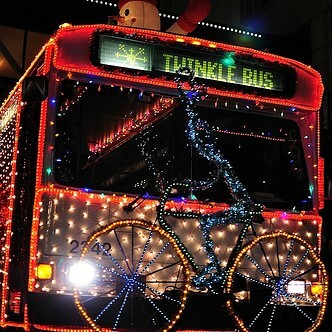 Every month during the season they provide about 60 rides that appeal to a wide variety of rider skills and desires. They offer slow, medium and fast rides, rides ranging from 15 to 100 miles in length, over many types of terrain. The Club is social in nature, with many rides built around casual riding, sight-seeing, meals, charitable activities, etc. You will find their rides throughout the 11-county Twin City metropolitan area, in other states and even in other countries. Check them out, they may have your kind of ride! Hiawatha Bicycling Club. 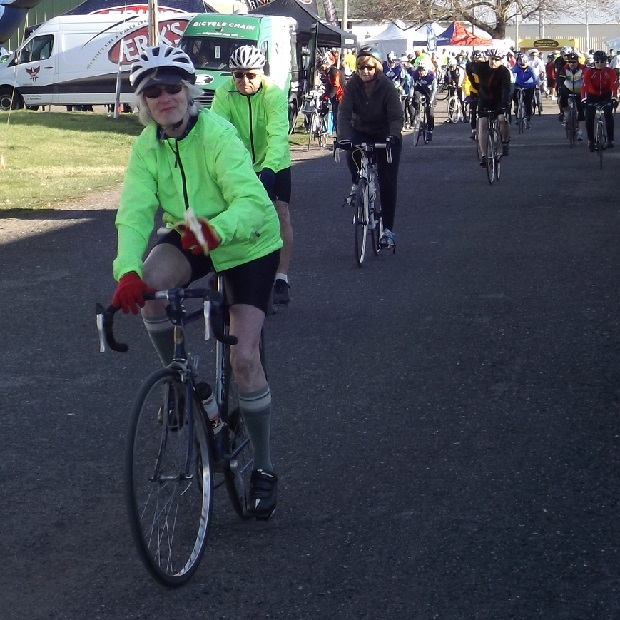 This entry was posted in News and tagged #onlyinMN, A Minnesota Bike Event, HBC, Hiawatha Bicycling club, MN Road and Trail Rides, Special Olympics MN on December 15, 2015 by Russ Lowthian.